Every year for the past six years my family and I have run one or all of the Disney Princess races held in February. 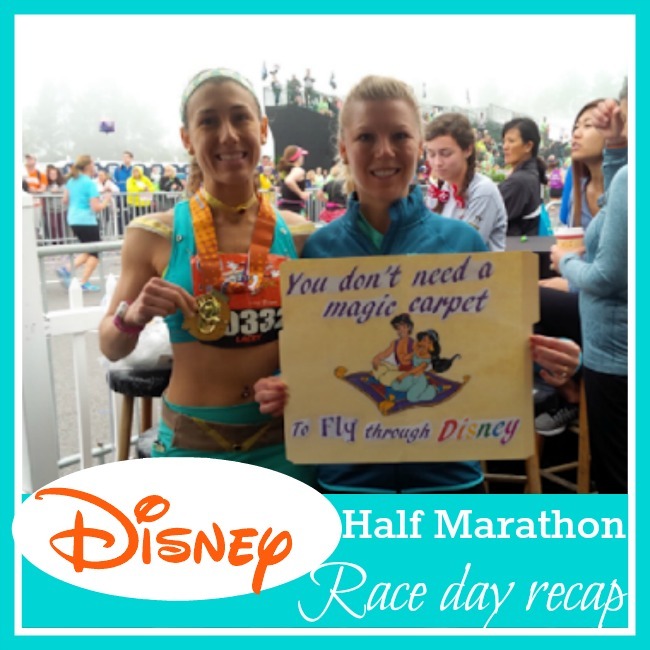 Last year was the first year that we ran both the Goofy Challenge AND the Glass Slipper Challenge (and the Frozen 5k) with in weeks of each other. 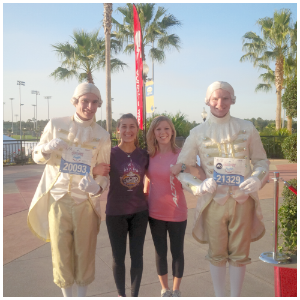 A few years before, my sister ran the marathon and then a few weeks later participated in the Princess weekend race. Are these races fun? You bet. It's always difficult to choose one race weekend (Marathon weekend) over another (Princess weekend), so that's why we've done both. After the exhaustion I felt last year after doing both race weekends, I made a commitment that I wasn't going to continue to do both. So this year we are opting out of Princess weekend and I can honestly say I am not sad about it one bit. We will still be visiting Disney World in February and having a little fun but we will not be participating in any races. It's a relaxing kind of trip! This week were talking about oldies but goodies. These are possibly items that you may have acquired during your first years of running but they are still serving you well! I can tell you these simple little things may be simple but they definitely make my runs SO MUCH better when I have them with me. As you know, we are suppose to be getting one heck of a snow storm this weekend here on the East coast. The supposed intensity of the storm in our area has changed from the beginning of the week when we were forecasted to get 4-8 inches. Later in the week it went to 2-4, and as of last night I heard 1-5. The storm will effect areas from Virginia to New York with the bulk of the storm hitting our friends in D.C! I've read that this could be the next big Blizzard in the DC/NY area since the Blizzard of 1888, where they got over 3 feet of snow and with the 60 mile winds the drifts were as tall as 50 feet! WOW! I've also read that all this snow could set coastal flood levels which isn't good either. I heard on the radio last night that 50 million people will be effected by this storm. I sure hope everyone is prepared. I just went to the grocery store last night and stocked up (not actually because of the storm, I needed groceries anyway)! To say I was excited for this year's marathon was an understatement! Of course I was a bit nervous because I was worried about how my IT band and knees would hold up. 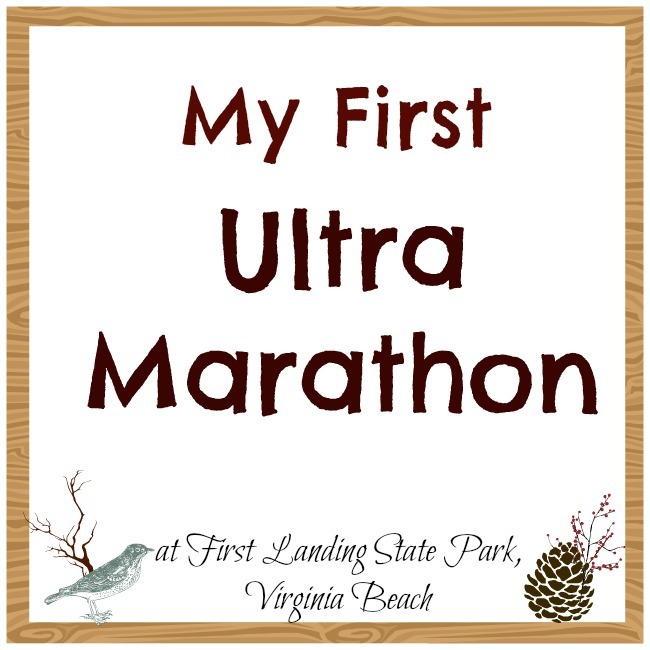 I was positive that going into this year's marathon that I would do much better than I did last year. First of all, I wasn't injured this year and second of all I was only doing the Marathon, not the Goofy Challenge like last year. Although I did have a time goal, I also had several smaller goals for this race. Today I was doing the first part of the Goofy Challenge. I did this challenge last year with my sister and didn't really expect to be doing it again. I knew I was going to do the marathon again but then I also wanted to run with a friend who would be doing his first Disney race, so that meant tacking on the half marathon as well. Turns out that a few months after registration, my friend decided not run. It looked like I would be doing the half by myself (with 21,000 other runners). But as luck would have it, I found out a few weeks before that my very good racing Buddy Doug would be at Disney and we would be running the half together. Wow, this is working out already! 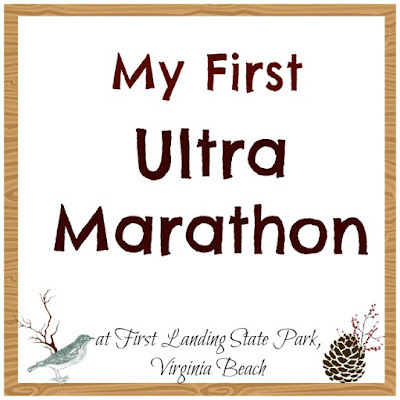 I ran with Doug during Rock n Roll VA Beach previously (or at least tried too). It was hot and I was struggling, so I fell behind and told him to keep going. This time I was determined to keep up! Last Friday was a very busy day for us. It was our first full day at Disney and we had a lot on our schedule before the races. For the Friday 5, we'll share five things we had fun with on Friday! 1. First thing was to head to the Expo. We usually find the expo to be so much fun and spend a lot of time there but this year we did what we needed to do and were out of there. 1. Buy official Marathon Jacket. 2. Return the pre-order jacket ( I didn't care for the design this year and they did run really small). 3. Buy some GU and Honey Stingers. 4. Grab a sign for the Half Marathon. For some reason we did not end up finding the booth that had the signs, so I had to make my own when we got back to the resort later that night. The jackets actually say "Running Around the World in 26.2 Miles". We did get these marathon jackets which we really like. This is my third teal Run Disney Jacket so I would have liked it if it was black ( like the men's version), but I do like that it is a full zip ( not a half zip) and it is fleecy inside. Last week I was reading a post from a fellow blogger who said she was probably the last blogger to post about her 2016 goals. I left her know that she certainly was not last, because I hadn't done it yet either. I don't know why everyone in the blogging world feels the need to post yearly goals, but we do. I guess it's a thing. We have said here on the blog before that we don't really set Goals, but we do make plans. I was reading another blog last week where another blogger said she didn't like the word "goal" or "resolution" so she was using the word "Intentions". I like that so that's what I'm going with. The reason I have not posted any 2016 intentions yet was because I didn't even want to think about 2016 until the marathon was over. I think that was my biggest priority thus far. Well the marathon is over and here we are. So what are my "intentions" for the year? Before the first week of January 2016 officially comes to an end, I'd like to share with you some thoughts about what I do every New Year's eve, or day. Since it's Friday, we'll do this Friday 5 style! 1. After I started running, it took me a while before I realized I should start logging my miles. So after a year (or two) I finally did! I started off just jotting my runs down on a calendar. About a year later I received a Garmin Forerunner GPS watch but I still used the trusty calendar. A year later I moved to a running log from Runner's World, and then the year after that I started using a running journal. Regardless of whether I used a calendar or a running journal, at the end of each year I enjoyed sitting down and adding up all the miles I've run. Now that I use a journal and log more details about each run, it's kind of like a walk (or run) down memory lane as I look back over my year of running. No pictures, just stats! Since all the holiday hype has calmed down, I thought now would be a good time to finally post my 50K recap! Back in December I ran my first 50k. This was my biggest race yet! 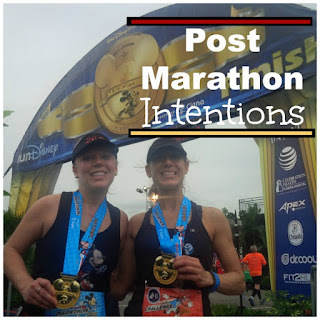 Having run several marathons in the past, this was the first one I actually (semi) had a training plan for and I think it really reflected that in my performance. We are heading back to work today after 11 glorious days off for holiday vacation! I'm not sad at all though because in three days we will be headed to Florida to run the Disney World Marathon ( and Goofy Challenge for Lacey). Over the past few days we have enjoyed reading about how everyone spent their holiday and their accomplishments for 2015. We didn't really do a look back per say, but we did create a race scrapbook of all our races for 2015. So remember all those things I wanted to accomplish over holiday break? Well, here's how that went down. Nails done- Finally got my toes done, fingers are still up for debate! Cleaning and organizing the hall closet- Big fat NO on this one but I did clean out and organize an upstairs closet, so I am pleased with that. Read my magazines- I am happy to report that I did read one Better Homes and Gardens magazine cover to cover and I successfully completed the crossword puzzle in the July issue of Women's Running ( see I told you I was way behind on my reading). I was hoping to read more but I'm sure there will be some snow days in my future and I'll dig those magazines out again! General Housework and Laundry- I feel good about this one. I cleaned several times and even have my Christmas decorations taken down. I wanted to make sure my house was back in order before I left for Florida. 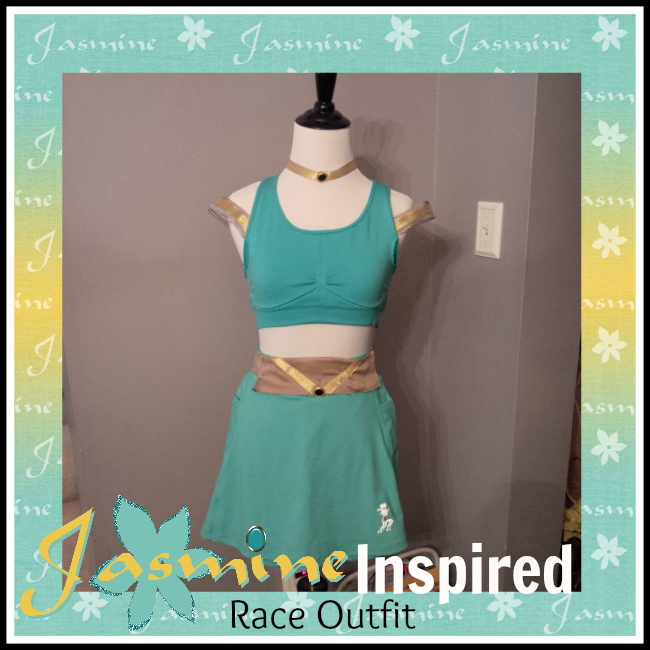 One thing that was not on my list to do over holiday vacation (only because I REALLY thought I would have done it before the holidays) was put together our race outfits for this weekend! 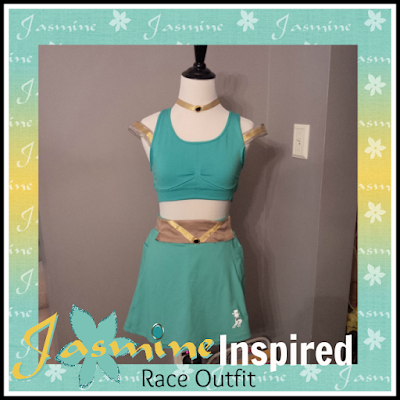 Lacey will wear this Jasmine inspired outfit for the half. I'm pretty pleased with how this turned out considering that we put it together with things we found around the house. Yes, we've had the idea for a while but we only knew that she had the top and I had the bottom. Talk about waiting till the last minute to put everything else together! Lacey and I both will be wearing this outfit for the Mickey marathon. I have to be honest in that I'm not loving this outfit. I had an idea in my head several months ago and have not been able to find the correct shirt so this is what I came up with. Although this looks like the same skirt we wore last year, it is not. This one is actually red dots and last year's skirt was pink dots. Not very creative but unless I come up with something else in the next day or two, this is it. Actually I'm thinking about even ditching the running skirt and wearing shorts EXCEPT I love the pockets that the running skirt provides. It's much better than running 26.2 miles with a running belt. 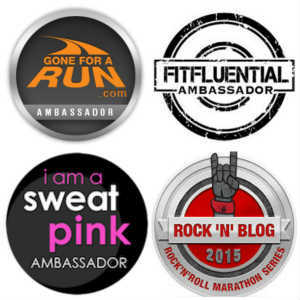 We'll also be linking this post up with the gals from Tuesday's on the Run.